Thanks to the Gaffer Girls for this post. As I keep mentioning, I’m totally into glass casting!! Love love love it!! So when I see something about it I can share with all of you you know I will. 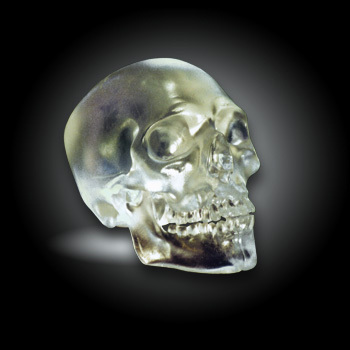 Today you’ll see the process to make glass skulls. The casting process does scare people away because it has quite a few steps and can be fairly time consuming. So watch the process…over at glassskulls.com! !